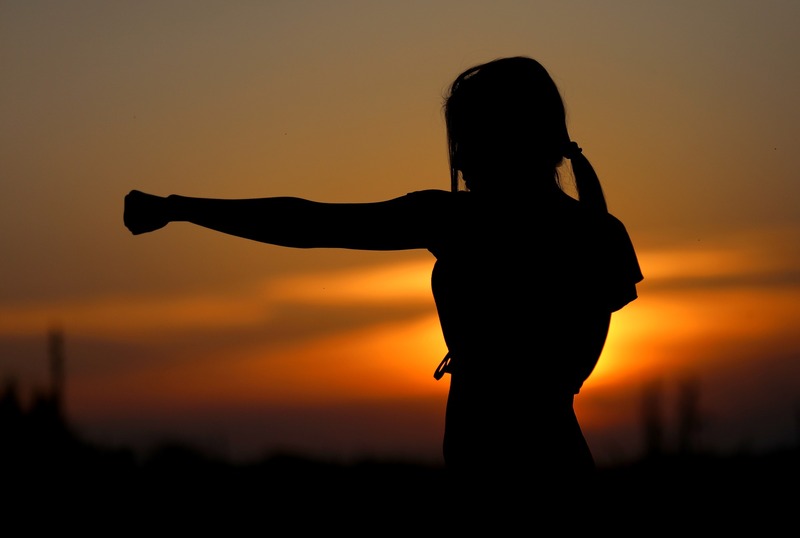 Despite our best efforts, it is pretty impossible to live a completely peaceful and problem free life. Therefore, it is important for each of us to build and maintain resilience so that we know how to withstand adversity, and possibly even learn from negative experiences at times. Building resilience can help us deal with the polluted world we live in and still maintain our own positive mental health. Read on to learn more about building resilience! The ability to bounce back from adversity and stress is an important tool in life especially during school events, relationships, home changes, family and more. Coping with stress in a positive way is known as resilience, and its associated with lower depression rates and better longevity. Resilience is a skill that can practiced and improved on every day through various strategies. Here are some of my favorite strategies to build resilience and balance my stress. Community: Creating strong social bonds can be an important tool to help build resilience and can lower stress, and add perspective into one’s life. I like to remember that communication is a two way street, and listening to friends talk about their lives is just as important as telling them about your own. I recently had a break-up and my friends helped me bounce back by supporting me and talking to me and recently I helped my friend go through a similar situation. Understanding the value of being a good friend and having a good friend can be beneficial to bounce back from difficult times. Music: Music has shown to help people reduce anxiety and connect with their emotions. I use music as often as I can throughout my day, I have songs for waking me up, studying, showering and getting ready for an event. I would recommend having playlists for all types of events, and even stressful ones. Sometimes a good song is all I need to find the motivation to get through my stressful day. A healthy diet and sleep are also vital coping mechanisms that can help people bounce back and build resilience. Finding my own balance of practices has helped me learn more about myself and how to cope with the challenges that I face. These skills can be developed and personalized to help handle stress in many unique and fun ways. As we settle into Winter Quarter, it is important to remind ourselves that our grades do not define us as people. While it is good to strive to do your best, it is important to know your own limits and cater to them always. Read on to hear Peer Educator, Rebeca’s thoughts about the education system and self love! We are a part of a system, the education system. It is a system that oppresses us and dehumanizes us. It is a system that makes us to be mass, where we are simply numbers. As students in higher education, we have reached a point where we continue to be subjugated by the structure of our knowledge. This seems like a tense and rather, resentful, introduction to our education system, however, the more you come to know about the foundation, the more you will realize that you are subject to it as well. We have grown in an environment where we associate the letters of the alphabet with our intelligence and our worth: A, B, C, and F. As we move through levels of knowledge, from elementary school to high school, we delve deeper and deeper into the d egradation of our value to society. 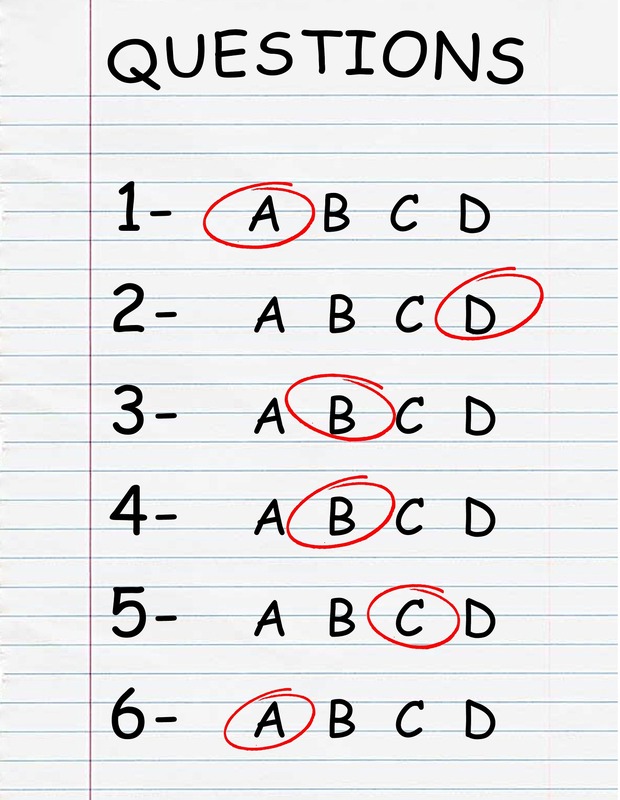 A “C” no longer cuts it for college applications and a “D” may ruin your chances of graduating. We are painted to be products of our grade point averages, stereotypes and biases laying hidden beneath what our schools teach us to believe. The point behind this entire rant is that: IT IS NOT TRUE. You are not just a number. Your worth is not determined by your GPA. You are not stupid for getting a C on your last exam, presentation, or paper and you are most definitely NOT stupid for failing a class. Most importantly, an education does not make you who you are. Yes, we have grown to believe this, but with time we can learn that we are much more than what the system tells us. YOU are YOU. Education is not for everyone. It should not be a make or break situation, it should be an experience and a privilege, to take what we learn and make a difference. As a person of color, it is particularly difficult to make it to higher education. We face racism and discrimination; we face having to overcome the stereotypes and biases that the system has made for us. It is believed that many of us will not graduate college, or let alone high school. LOOK AT US THOUGH!!! We have made it this far. Some of us do not come from privileged backgrounds, some of us do not have the support, some of us did not have access to better education when we were younger, and some of us are the very first in our families to step foot on a college campus. It is also important to know that just because we are here, it does not make us better than any one else. We have had the privilege of getting here, when others have not. For many people, that means their parents did not have the opportunity to get to higher education. We will learn a lot on this journey, and what we must do is spread our love, spread our knowledge, and advocate for the rights of others because that “C+” in Psycholinguistics will not matter, it will mot define you, and you may not remember it, when you are making a difference in this world. As your blog and social media coordinator, I’m happy to share a little bit about myself today. This is my third year with the Peer Education Program and I love working with other peers in order to improve access and decrease stigma around mental health services. I hope you’re all enjoying the blog and everything that we do! One of the things I like to do that helps me relieve stress is to make a “To Do” list. At the beginning of the week I put everything I need to do on a list and leave it on my desk so that I can check things off as I go. It’s a really satisfying feeling when I get to cross off a task or an assignment, and it helps me feel like I am in control and keeps me from getting too overwhelmed. I also take advantage of Google Calendar, and I schedule everything from my class schedule to advising appointments along with 10 minute reminders so that I’ll always feel like I know what’s coming. In my free time you’ll always catch me with a cup of coffee in one hand and a planner in the other. I love being outside hiking, swimming, or at the beach! But when I’m inside, I really enjoy working with children on the spectrum as an Instructional Aide and helping out my fellow students by revising cover letters and resumes at the UCSC Career Center. I’m also the vice president of Active Minds, a club committed to the destigmatization of mental health, and I’m the president of Psi Chi, a Psychology and Cognitive Science honors society on campus where we invite students to helpful workshops and social gatherings. I am really passionate about helping people understand the idea that mental health is just as important as physical health. I am so excited to be a Peer Educator because I want to spread the word that mental health is important and if you ever need help maintaining it, it is nothing to be ashamed of. I want everyone to know that CAPS is here ready to welcome you with open arms. When your ankle swells up and you can’t walk, do you go see a doctor? Well, when you need someone to talk to, CAPS is also here. Emma Burke is a fourth year Psychology major with a minor in Literature, and she is affiliated with Merrill. 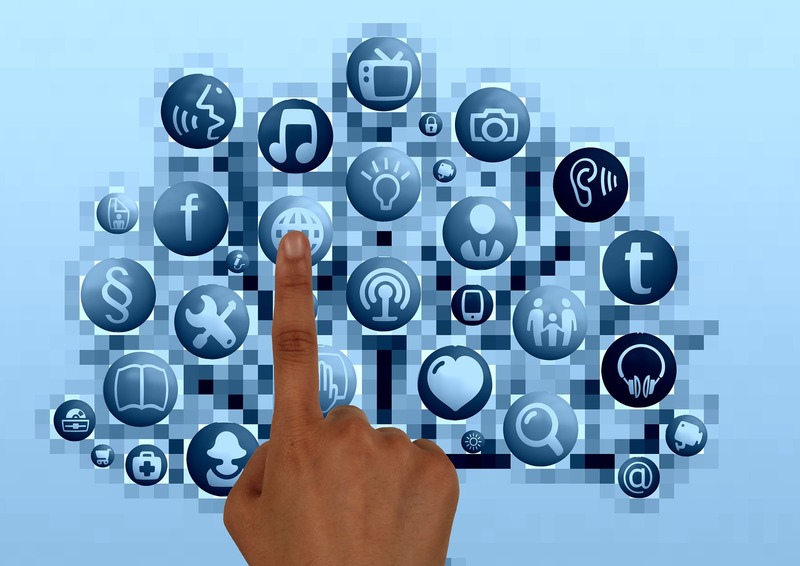 For many of us, social media is a fun way to relax, unwind, and stay connected to the world around us. However, social media also comes with its own set of problems and stressors. Read on to hear Aditi’s thoughts about how social media increases unhealthy comparison. Recently, Psychology Today ran a cover story about the trap of comparison being exacerbated, and even more apparent, in the era of social media. Social media is quickly becoming one of the main channels of communication for teens and young adults. As college students, we feel the effects of this more acutely. We see ourselves reflected back in the endless fee ds we scroll through. Because of this, it’s more tempting to feel ambivalent about the choices we’re making in our lives. For example: when you feel happy with the outfit you took great effort in arranging, you walk out the door feeling that well earned confidence. However, after you open facebook or instagram and compare your outfit to someone else’s random picture of themselves, it’s not necessarily worse, but it’s different. And suddenly the doubt starts to creep in. The trap of comparison opens up beneath your feet, simply because you had someone else to compare yourself to, and direct proof of their existence. Let’s take a look at some of the mental health implications of falling into the trap of comparison, and what we can do to avoid falling into that trap, by reading this article in Psychology Today. We have just a couple more wonderful Peer Educators to introduce you to as we begin winter quarter! Today, I get to share some fun facts with you all about our wonderful tabling coordinator, Harsimran. 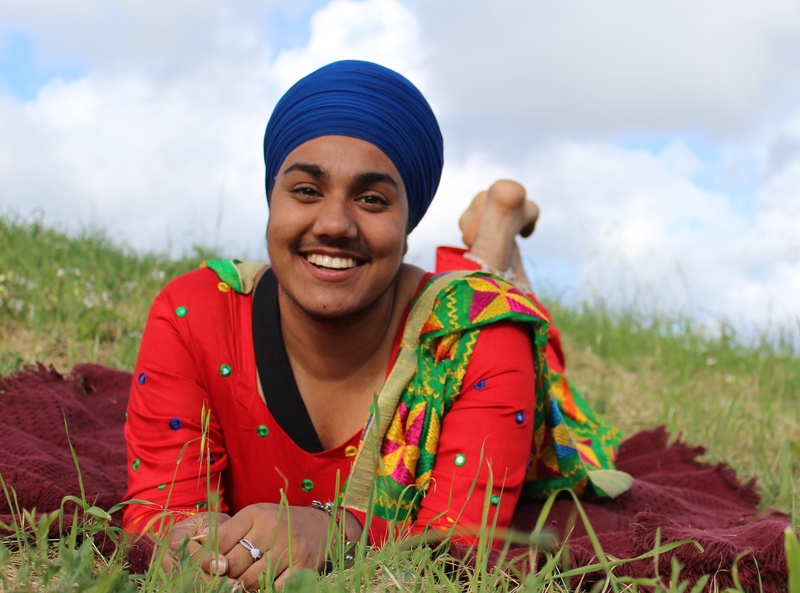 Harsimran’s huge outreach efforts and incredible work for CAPS have been instrumental. We all benefit from her hard work and from her infectious smile! What do you do regularly to relieve stres s? I tend to turn to nature whenever I feel overwhelmed or stressed. Whether it’s taking a walk, meditating outdoors, or simply bringing my homework outside, nature helps me relieve stress. Outside of school, I dedicate my time to the Sikh Student Association at UCSC, DIY’s, painting, photography and baking. I would want my peers to know that the CAPS crisis phone number can be reached at all times; including evenings, weekends and holidays. Harsimran is a third year Cognitive Science and Sociology major affiliated with Rachel Carson College. Welcome back from winter break, slugs! We hope you had a restful and happy time with family and friends! However, sometimes spending time with family and friends can cause added pressure and bring up colliding viewpoints that can be stressful. Read on to hear Jonathon’s experiences dealing with stigma surrounding mental health in family situations and how he deals with it. Most of you who read this blog understand that there is a stigma toward mental health. I would even go in length to say that you probably want to help remove stigma toward mental health. As a Peer Educator for CAPS, this is my goal too. I wanted to write this blog article because sometimes the most difficult group of people to talk about mental health with are our parents. A report by the National Institute of Health (https://www.ncbi.nlm.nih.gov/pmc/articles/PMC2735824/), showed that older adults with mental health illnesses are unlikely to seek professional help. This is not because they do not have access to mental health care, this is because they do not trust in it. One of the issues that I hear from my peers is that they are afraid to tell their parents that they struggle with depression, anxiety, or any other mental health issue. And for some parents, this is a real issue that they do not like to talk about. But I would like to stress that whenever anyone of us is struggling with mental health illnesses, it is important to have the support of your family. A couple of weeks ago, I spoke with a friend of mine who struggled with depression. She told me that the scariest thing about talking to her parents was not the part about depression, but about meeting with a therapist every month. She said she did not want to disappoint them and have them be upset with her. However, I do believe that her parents were not upset with her, but they may have been upset if they felt responsible or helpless in solving the problem. It is difficult sometimes to understand and deal with generational gaps and cultural differences regarding important issues such as mental health. However, many of us deal with this struggle on a daily basis. We want to be honest and open with our parents while still respecting their differing ideas and values. And of course some parents may be disappointed. But remember that it is important to take care of yourself and your own needs. 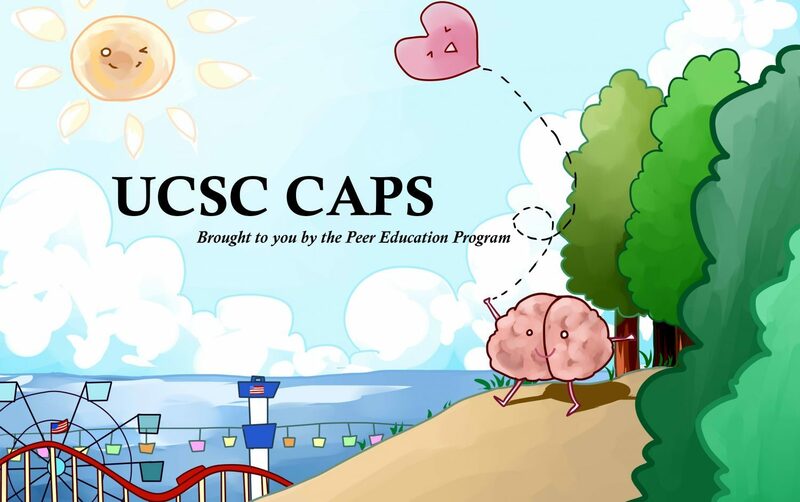 Furthermore, you can find a supportive community of peers and friends at UCSC and utilize the resources available to you. CAPS and my fellow Peer Educators and I will always be on your side and support you all the way.